Ceylon German Technical Training Institute (CGTTI) is one of the finest technical training institute which offers best technical Patrice and study in Sri Lanka. There are so many technical training courses offer by the Ceylon German Technical Training Institute in different fields of areas such as Automobile, Power Electrical, Air Conditioning. 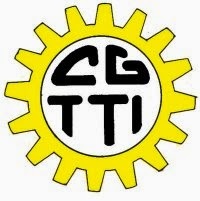 Ceylon German Technical Training Institute (CGTTI) is commonly known as Gremen Tec and this institute is much popular related to Automobile technical study industry. The CGTTI Offers several full-time and part Time course. Following qualifications are required to enter in to the institute.Germen Tech also provide good job opportunists in overseas and completing course would make better future in Technical field. Education : Passed GCE O/L in 6 subjects including Sinhala/Tamil and Mathematics. Course Medium : All course conducted in Sinhala and only Automobile course conducted in Tamil language.